Depending on the type of your sofa we will apply dry cleaning or wet cleaning. Our dry cleaning is appropriate for linen, acrylic brocade, untreated leather, silk, plush, viscose,polished cotton, polyamide nylon, cotton velvet and many other fabrics. Your sofas will be cleaner than ever and in a wonderful condition, after our staff take care of them. Call us, reserving the sofa cleaning you need and we won’t disappoint you. If you have wool, alcantara leather, cotton polyester, microfibre or faux suede sofas, they will be cleaned, using the hot water extraction method. This type of wet cleaning uses steam to cleanse your sofa from its deepest layer. Call us now and book your service. 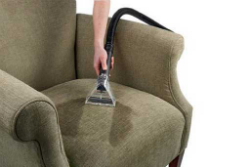 Steam clean your sofa for dissolving all dirt, stains, odours, mould, allergens, microbes etc. You can use your sofa right after we clean it and enjoy its nice and disinfected state. 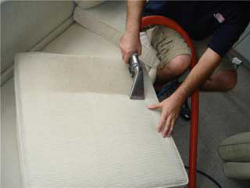 Main Cleaners can guarantee you excellently cleaned and smelling fine sofas, which will stay this way for long time. In the price of your sofa cleaning are included all the detergents, cleaning preparations and the use of advances cleaning machinery, our cleaners are supplied with. Our services are provided on very competitive prices seven days a week, after reserving them by phone or through the web. We expect your calls any time. Don’t miss the opportunity to have well sanitized and cleaned sofas in your home.